Those who want to shape up the body can get help from these books. Here the authors begin by explaining the physiology of muscles--how they grow and deteriorate, what nutrition they need to build up. Exercises are organised by body sections, with such chapter headings as "Muscles that Act on the Shoulder Joints and Scapulae" and "Muscles that Act on the Hips." With full-colour photos and step-by-step instructions, each entry explains the set up, execution and variations of each exercise. The third section of the book explains how to devise a workout plan, while that fourth section lists 6-month workout schedules for beginning, intermediate, and advanced body sculptors. The authors break each programme into stages and offer charts listing the number of sets, number of reps, and how much time to rest in between. 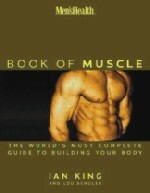 Whether one wants to build muscles or simply tone them, this book is the perfect introduction to body shaping for men. Expert trainer Paul Frediani has designed the PowerSculpt workout to address the unique body sculpting needs of women. In a progressive, 12-week plan, you'll learn how to use the exercise ball to flatten your abs and build muscle tone. 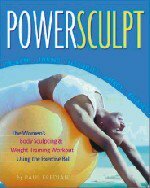 With PowerSculpt, you will take inches off all over; jump start your energy and stamina; boost your metabolism to burn mega calories; strengthen your chest, shoulders, and core for perfect posture; and get a figure you'll love showing off. You'll look great and feel beautiful. With step-by-step instructions and hundreds of clear photos, PowerSculpt has exercises and workouts that are perfect for everyone, no matter what your fitness level. If you want to get in the best shape of your life, then get on the ball with PowerSculpt. 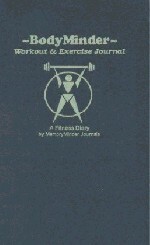 The Bodyminder is the ultimate physical fitness diary. With a focus on workouts, it can also be used to keep track of any and all other exercise. Each "day" consists of two pages with an organized, easy-to-use layout for recording workout details from equipment & settings, to reps & sets, to difficulty level, to heart rate, to muscle groups, and more. There is also space for listing the details of other non-gym exercise. In addition, each day's meals can be recorded as well as any vitamins or supplements taken. The 224-page book is spiral bound with a durable leatherette cover. There are 91 days' worth of daily records and thirteen Weekly Schedule forms to help you keep on track. Other sections include food counts on over 100 common foods, heart and blood pressure range charts, progress charts, personal game scores, fitness expenses, and more.